Just wondering how you guys are progressing, when you started, what can you do? 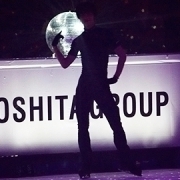 As for me, I've been just doing basics like toe loop, waltz jump, salchow, loop, and some one-foot upright spins. It takes a lot longer than I expected and I still skate soooo sloowwww haha. I started skating after Sochi 2014 (Yuzu inspired me ). At first I just tried to learn some basics by myself but I found out that a club in our city organizes lessons for adults, so I enrolled. Usually I have 4 lessons per week with a coach and 1-2 times I practice by myself at public skating. The most difficult thing I can do is 2T and 2S but my success rate is like 10% and they are quite ugly. All other jumps including axel only as singles but here I have much higher success rate My next goal is double loop, but I havn't attempted it yet, and I'm not sure if it will be posible, but I want to try it. About spins: in forward direction I do all 3 basic positions (upright, sit, camel) and I'm working on layback. 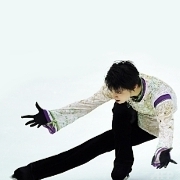 My coach suggested me off ice spinner to practice it... and in backward direction I can only do upright and sit. And about steps: mohawks, crossrolls, toe steps, hops + other easy steps (I don't know English terms for them), 3turns, brackets, rocker, counter... I think that's all. It's amazing that you can do all those things only after 3 months of intense practice I remember it took me ages to learn to spin on 1 foot. I agree that it's hard when you start as adult but when you practice (almost) every day, you will see quick progress. And for me, the turning point was when I stopped fearing of falling. Oh wow, doubles in 3 years? That's really amazing and gives me hope, haha. I admire your dedication. My wish is to land some doubles one day and to develop decent skating skills that I can improvise to music and stuff. I'd be totally satisfied with that!! 2S and 2T would be sooo perfect, my dream, lol. Loop and lutz are my favorite jumps watching FS but I probably won't get to the loop and will definitely not get to the lutz. But hey one can dream. I've been struggling mostly with speed. It seems like everyone is faster than me, but going faster is scary. Especially since I've had falls going at full speed and they were really painful. Actually, I had a bad fall about a month ago and my elbows still hurt when I place them on the table. One-foot spins ARE killer!! I've been working on upright spin since the first month of skating so over a year ago and I STILL cannot do them consistently. One day I can do them and the next day I can't! But the feeling of being in a centered, fast spin is so nice. Please do keep us updated on your progress and experiences, yuzuangel and moni! Sorry if this is a little off-topic but ISU International Adult Figure Skating Competition starts on 22nd May 2017 in Oberstdorf Germany. Anyone planning to watch it? Yes, those easier doubles are doable for adults Just don't give up and don't be scared! One day I can do them and the next day I can't! I can fully relate to this, haha. It's just so frustrating! And not only with spins but everything.... sometimes I feel like I forgot everything over the night. About speed: don't worry about it, really. It's better to be careful and learn everything properly and once you feel more comfortable with it, you can always add some speed. My coach told me that it's better to do it slowly and cleanly and pay attention to have correct head/arm/shoulder/hip position than going fast and make mistakes. When you practice some movement regularly, it will gradually become natural for you. You won't have to think about every detail so much anymore and then you can slowly speed up. When I started learning toeloop I was prerotating it,too and I was even doing waltz jumps from inside edge but my coach was correcting me right from the beginning so it didn't become my habit. Now I just can't imagine I'd have to relearn any of my jumps again... it's something like instinct. I admire everyone who was able to do it. for links. I have to admit I didn't watch adult skating at all before but now I have links so maybe I will check it. Currently no coaches yet. Figure skating is such a small minority sport in China, and just my city alone (despite being probably no 8 in size and population) probably only has about 10-12 figure skating coaches in the entire city. Maybe only half of whom can train you up to an Axel...and last I heard, a lot of them don't demand that much out of adult skaters. Not a pretty picture. I started pracitising with a coach last September. Unfortunatly only once a week because the ice rink is pretty far from my town. I'm also working on basics like single Toe, Sal and Loop. I can do one foot upright spin and my next challenge is sit spin. Anyway, me on some days -> I love skating! I wish I could skate all day! I thought I'd share with you all a bit of inspiration I found. It's not skating related but it just goes to show that age isn't everything. This is an old TV spot about a computer animator from London who saw a Peking Opera performance and was so inspired that, at age 32 and with no Mandarin, went to train as a performer in Beijing for 10 years. (Most start before they're 10!) His flexibility is insane for someone I assume spent most of their time in a chair. Do you skate as a hobby? I started skating when I was a kid, but I never took it seriously. When I was in my early teens, my country underwent great political and economic changes, nobody really cared about skating anymore and my rink was closed. And I forgot about skating for more than 20 years. Until in February of 2014 I turned on my TV to watch some figure skating just out of curiosity because it was Olympics. And then I saw that boy in a blue shirt... My jaw dropped and I remember saying to myself: "Figure skating had changed a lot in 20 years!". Eventually I started to follow figure skating again and here I am . There was a moment around Worlds 2016 when I thought I should try to return to skating. Guess who inspired me! I guess there are other hobby skaters besides me on the Planet. 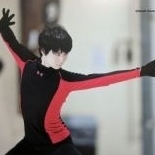 Please come to this thread and let's discuss our personal progress in the sport of Figure Skating.